I'm a little bit impulsive. And I like pretty things, especially if they're shiny. I'm kind of like a crow that way. So when I first discovered the Erin Condren Life Planner, it took me about 45 seconds to order one and leave my utilitarian Moleskine planner in the dust. I reserve the right to be superficial if it helps me remember what I need to do with my day. It's a little surprising that it took me this long to jump on the bandwagon of glam planning, considering how devoted I was in high school and middle school to my planner, but here I finally am. Let me be perfectly clear, I AM VERY HAPPY WITH THIS PLANNER. The vertical layout suits me both practically and visually, and the amount of space available means I don't overplan my days. You can no longer get the exact planner I have, but they have already released the planners for 2016, so don't worry. For few extra dollars, you can add the remaining months of 2015, which means if you want to start planning now, you can! 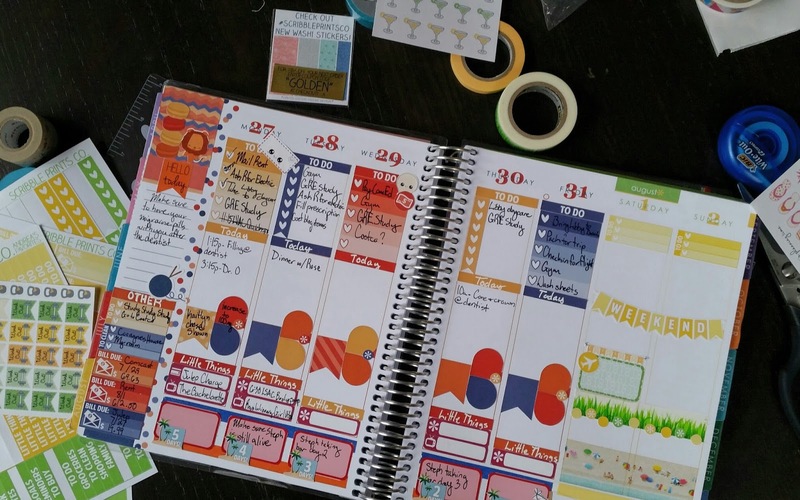 If you'd like to order your own planner and get $10 off, click here to visit the site.